The multilingual Hutong School team consists of both foreign and Chinese employees, who are always available to help make your stay in China truely unforgettable. Can you see yourself as part of our team? Check our latest vacancies for more information. Polyglot and China expert Jan studied Mandarin in Leuven, Xiamen and Shanghai, before heading to Beijing where he co-founded Hutong School. Today, Jan works to establish a wide network of agents, universities, language schools and companies doing business in China to promote Hutong School worldwide and make Chinese more accessible. A few months interning in Beijing were the catalyst for Jeremie’s return to China and subsequent launch of Hutong School. As a fluent Mandarin speaker, talented entrepreneur and China enthusiast, Jeremie works to promote the Chinese language to students and young professionals around the world in the hope they’ll gain as much from it as he did. Wei Ming’s love for travel has taken her around the world; after studying in the UK, she returned to China to work for Ernst & Young before co-founding Hutong School. Today, she’s based in New York where she continues her hard work for Hutong School and seeks opportunities for development – perhaps you’ll see us state side someday soon! After finishing her studies in the US, Anne moved to Beijing for a new challenge, joining Hutong School as a Program Consultant. She’s since progressed through various roles, and today uses her extensive network and knowledge of China to develop relationships with companies, agencies and embassies around the world to give their students a chance to experience China. Ida has lived all over the world, but it was China that drew her back with its incredibly diverse cuisine, culture and people. Since settling in Shanghai, she’s been continuously amazed by the eclectic mix of old and new that characterises the country’s most international city. As Ida says, it’s hard to put into words how fascinating China is – you simply have to see it for yourself! Experienced Chinese teacher and Chinese language expert Xiao Li has helped hundreds of students achieve their learning goals. Today, she uses her expertise to train our teachers, write our textbooks, and advise on Hutong School learning materials. As if her days weren’t busy enough, she often puts us all to shame by squeezing in a morning workout before arriving at the office! Astrid’s fascination with Asia was what first brought her to China, where she began her adventure with a Hutong School internship in Beijing. She had such a good time that she later returned, this time to Shanghai, where she has since been organising study and internship programs in China for people around the world and helping them discover what it was that made her come back. 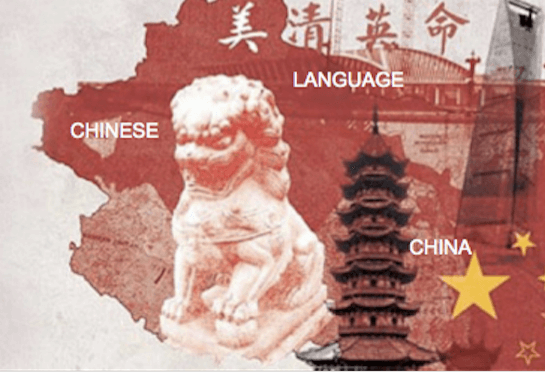 It was Rob’s passion for Chinese language and culture that inspired him to move to Beijing, where he soon realised there’s no better way to learn the language. Though he’s called China home for several years, he’s always discovering new things about the city. When he’s not ensuring the smooth running of our Beijing office, he’s sure to be exploring the city and enjoying its vibrant music scene! Experienced teacher Bibi helped hundreds of Hutong School students reach their Chinese learning goals before becoming our Education Manager. 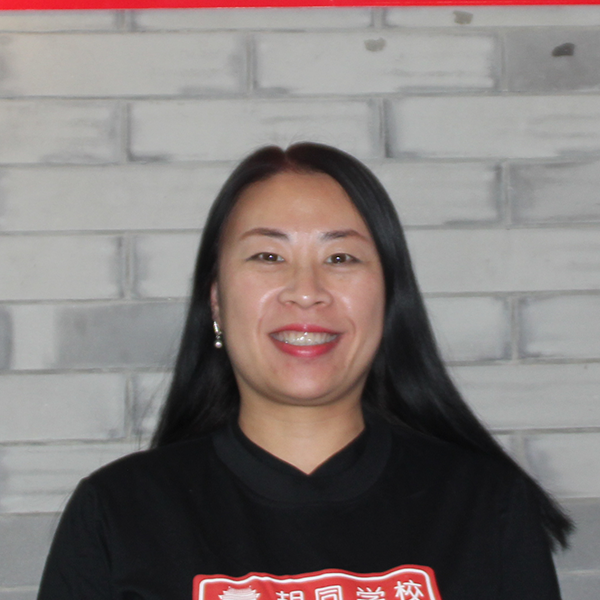 Today she oversees our teaching team, helping to maintain our high standard of teaching and ensure our students get as much out of their Hutong School studies as possible. Born in China’s northernmost province, Heilongjiang, Li Na majored in teaching Chinese as a second language. Since graduating, she’s gained over 10 years’ experience and an extensive knowledge of the Chinese language. Using various teaching methods to suit the different needs of her learners, Li Na makes the challenge of learning Mandarin much less daunting! After visiting China as a child and not fully appreciating it, Megan decided to return as an adult to reconnect with her roots, be with her family and learn more about the country’s vast history and culture. She’s lived in various cities since arriving in China and is now based in Shanghai, where she works hard to help more and more people around the world discover Hutong School. A 3-week university study program in Shandong gave Lauren the China bug and begin making plans to return. Eager to learn Chinese and understand China’s fascinating culture, she ventured to Jinan where she lived for a year before settling in Shanghai. Today, she puts the country’s incredible appeal into words, encouraging others to start a China adventure of their own. After starting her career in Wuhan, Kate headed to Shanghai in search of new opportunities. She soon found her way to Hutong School, where she now works as part of our local sales team to encourage more people to learn Chinese. As someone who values her culture and language, she enjoys helping our students learn about China and benefit from all that Shanghai has to offer. With an open flight ticket and the chance to go anywhere, Catalina boldly hopped on a plane and travelled over 19,000km from home to see what China had to offer. She quickly became enthralled with Shanghai’s fast-paced lifestyle and endless opportunities and hasn’t looked back since. When she’s not busy helping our students, she enjoys challenging locals to a game of Mahjong. Sonia’s post-graduation hunt for new horizons led her to Shanghai, where she decided to continue her study of Chinese after starting in France. She soon fell in love with the city, found a job and decided to stay. She joined the Hutong School Shanghai team in 2018, where she works as a Program Consultant, helping our students come to China to learn Chinese or intern. A stroll through Chinatown was what sparked Judith’s interest in China and inspired her to start learning the meaning of the intriguing characters she saw. A few years and a Chinese language major later, she understands a few thousand and now helps others get to China, settle in and discover for themselves why she can’t live without stinky tofu, dockless bikes and WeChat! After hearing about China through friends, Maja decided she had no choice but to experience it for herself. Shortly after graduating high school, she headed to Chengdu to study Mandarin, and she soon fell in love with the food, the culture and the people. She later moved to Beijing, where she completed an internship before finding her way to Hutong School. In hope of broadening her mind and stomach, Kelly traded Chicago for China in 2008. After living in Yunnan and Xinjiang, she settled in Beijing where she helps hungry students use their language skills to discover the best of Chinese cuisine. As Kelly says; there’s no better way to improve your Mandarin than over a cold beer and donkey burgers with a local! After hearing a friend’s story of studying in Beijing, Amy was inspired to experience it for herself. A few months soon turned into a few years after she joined Hutong School as a Program Consultant in 2012. She’s since moved back to the UK, where she now works to help people get a taste of China in London, inspiring them to one day begin their own China adventure. 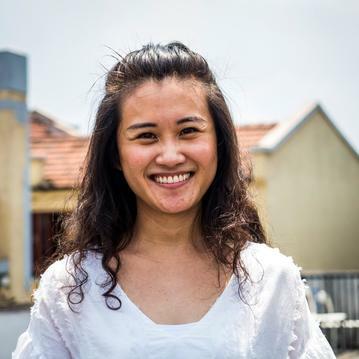 After spending most of her career teaching Chinese at various schools in Shanghai, Ye Jiao Di (or Judy as she’s better known to us) found her way to Hutong School in 2017. She’s since been a vital member of the team, assessing and scheduling our Shanghai students, communicating with our teachers and generally being the life and soul of the office! True Beijinger Sarah isn’t shy of telling people how she feels about her home city; very positively. She loves the contrast of the city’s ancient buildings and modern skyscrapers, and she never ceases to be amazed by how many foreigners can speak fluent Chinese. Sarah dreams of helping more and more people learn her language – join us in Beijing and help her realise her dream! Since moving to Beijing as a child, Taiwanese native Angelina has developed all the traits of a local – though there are some delicacies she still won’t eat. Throughout her career, she’s worked with many foreigners, inspiring her to help introduce them to Chinese culture. This ambition is what brought her to Hutong School, where she now helps students’ adventures get off to a good start. Bubbly ex-professional English interpreter Nicole completed an internship in New York before joining the Hutong School family in Shanghai. She enjoys working in a multi-cultural environment and loves using her own experience of interning abroad to help our students settle in. Her friendly face is one of the first you’ll see when you enter our school and one you certainly won’t forget! Born and raised in the Chinese capital, Guo Dou is a Beijinger through and through. Based where else but Beijing, he has a wealth of Peking related stories to share with our students and enrich their experience. Living by the slogan ‘be strong and healthy and work hard for 50 years’, if he’s not busy in the office, you’ll find him swimming in frozen lakes! Since joining Hutong School, Karen has been working tirelessly to make sure our students have the best experience possible. Her top-notch organisational skills and passion for helping people settle in are two of the main things that make our events a success. Between planning activities and excursions, she spreads her love for Chinese culture through teaching – a true all-rounder! Hope is an essential member of our Beijing team; without her, there would be no hope! She loves her role of getting to know our students and helping them settle in, make friends and explore the city. Her passion for good food, organising events and exploring interesting places means you can’t leave Hutong School not knowing more about Chinese culture and language! The glue that binds our Shanghai school together, our office angel Chenjie ensures the smooth running of everything from finance to maintenance. When she’s not hidden behind stacks of paper, she’s sure to be running errands around the city. So, though you may not get to meet her, you can rest assured she’s playing a vital role in making your Hutong School experience a success. An avid basketball player and gym goer, Dalton is an important member of our Shanghai logistics team. He works around the clock to ensure our students have a safe and pleasant stay and experience the best his home city has to offer. It’s his friendly face you’ll see when you arrive at the airport, and he’ll help solve any problems that arise during your stay. 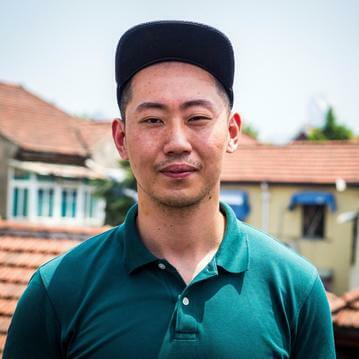 As a member of our logistics team, Shanghai local and football fanatic Philip works hard to ensure our students have a safe and comfortable stay in his city. One of the first people you'll meet when you arrive, he's responsible for meeting and greeting our students at the airport, and he's always on hand to help solve any problems that arise. After leaving his hometown in Henan for Beijing over a decade ago, Yin hasn’t looked back since. A true Peking culture, history and food enthusiast, he loves sharing travel tips with our students, so they can see for themselves why he never left the vibrant capital. When he’s not busy helping you settle in, you'll find him playing sports, listening to music or enjoying a good book. Bishuai’s passion for sharing his culture and language with curious foreigners led him to pursue a career in teaching. After completing his studies, he left his hometown in Henan for Cambodia, where he spent a year teaching Chinese before heading to Shanghai. He’s been a key member of our team ever since, putting his all into making his classes enjoyable. Fiona’s teaching career took her from a small northern town in Henan to Guangzhou and the Philippines before she decided to settle Shanghai, where she’s been working hard to help our students learn ever since. Her calm, patient attitude and clear explanations help make those difficult grammar points make sense and mastering Chinese seem much more achievable. An expert on Chinese character etymology, Emily has over 8 years’ experience teaching students from around the world. Since graduating, she has lived and worked in the Philippines, Singapore, Germany and Austria, helping to promote her native language and culture around the world. Today, you’ll find her in Shanghai using fun methods to help our students master the language and adapt to life in China. Cici began her teaching career in her hometown before heading to the big city in pursuit of exciting opportunities. Her search led her to our Shanghai school, where she’s now a popular and well-known member of our team who, besides teaching, loves getting to know her students, showing them around the city and introducing them to weird and wonderful Chinese delicacies! Born in Wenzhou, raised in Shanghai, Chen Nanyi achieved a master’s degree in teaching Chinese as a second language before starting her full-time teaching career. She enjoys learning about her students’ cultures and challenging herself to pick up a few basic phrases in their languages - she's tried her hand at Arabic and French... will your language be next? Born in Harbin, China’s ‘Ice City’, and the home of standard Mandarin, Zhu Cong Ming is an experienced teacher with a passion for sharing Chinese culture with the world. Her 4+ years’ teaching experience and wealth of knowledge about her nation’s history, culture and customs make her lessons extremely rewarding. Xiujuan Li’s passion for teaching has taken her around the globe. She spent 8 years teaching students of various ages in Mongolia, Hungary and the US before joining us in Shanghai, where she continues to teach people of all ages and nationalities. She loves that though she’s the teacher, she never stops learning from her students, who keep her passion for travel alive through their stories! Born in Beijing, Mei Han graduated from Beijing Institute of Fashion Technology before deciding to become a Chinese teacher. She’s taught Chinese as a foreign language for over 12 years now, adopting various techniques to suit the different needs of her students. Mei Han’s open-minded and easy-going personality makes her a pleasure to learn from and is one reason why students love her classes! Throughout her studies and working life, Chi Liyan has held positions in various industries, though she found none of them as rewarding as teaching Chinese as a second language. She loves to travel both within China and overseas and has developed a good understanding of the differences between eastern and western cultures, helping her teach her students in an effective way! Local Beijinger Yumi is fiercely proud of her heritage and loves spreading Beijing’s rich and colourful culture. She aims to make her classes fun and teach her students not only about the language, but also about the culture behind it. As well as being an outstanding teacher, Yumi is also skilled in the kitchen, and she loves preparing delicious local Chinese dishes for our students to taste! Heilongjiang native Guo Li has called Beijing home since 2002. She’s grown to love what she calls the nation’s “thrilling and challenging” capital, where she enjoys teaching Chinese to foreign students from around the world. She believes that working closely with people from different backgrounds helps enrich her personality, and that though it might not be the easiest language to learn, it’s certainly rewarding!